One collection of ancient documents occupying center stage in the writings of James Churchward is the Naacal Tablets. Naac is the verb root for indicating upward motion. As noted in the transitive conjugation naac appears with the causative marker particle -z- placed between it and the verbal suffixes. The meaning of the verb in the transitive conjugation is “to lift”. In the intransitive conjugation however the meaning of naacal is “to climb, to raise up”. Like Le Plongeon, Churchward’s Maya were the colonizers from the motherland of mankind; Le Plongeon believed it to be Central America and Churchward’s was in the Pacific. Churchward’s writings provide further detail in that the Naacals were a brotherhood that continued to maintain the secret wisdom and knowledge of the ancient sunken continent of Mu, even until the present day. In James’ first book, Lost Continent of Mu Motherland of Men, the narrative begins with the assertion that the Garden of Eden was not in Asia or Asia Minor, but on a now sunken continent in the Pacific Ocean. 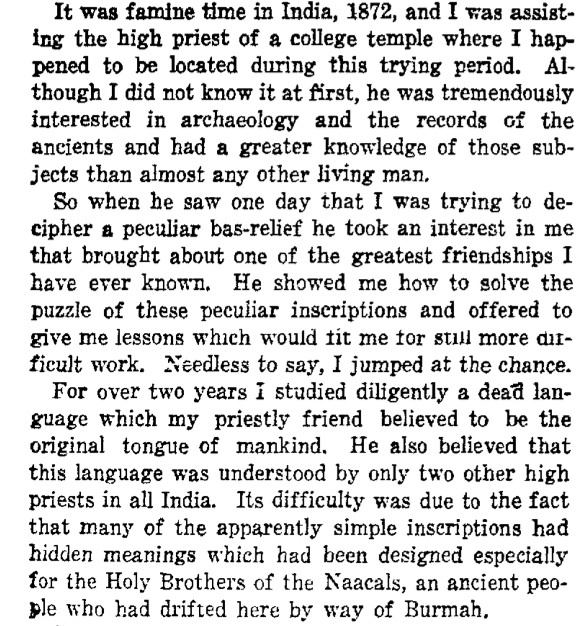 His proofs are ‘complex records which he discovered on long-forgotten sacred tablets in India.’ Eventually we learn that these were the Naacal Tablets, written by the Naacal Brotherhood and the Rishi, his teacher in the translation of these tablets, was one of the few remaining members of the brotherhood. James also referenced other documents, the Ramayana, the Troano Manuscript, the Codex Cortesianus, the Lhasa Record and others, but the Naacal tablets assumed center stage. Beginning in 1931, the sacred long-forgotten wisdom of the ancients was also found in the discoveries of William Niven. 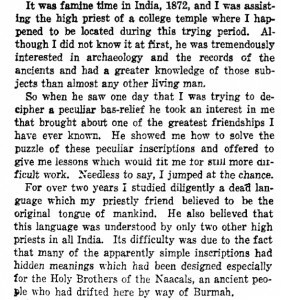 Starting in 1921, Niven had discovered some 2600 tablets in the Valley of Mexico that only one other person had been able to decipher until James Churchward applied the knowledge imparted to him so long ago in India. In addition to the previously mentioned ancient documents, William Niven’s tablets became another pillar in the proofs of the ancient advanced civilization of Mu. Churchward’s critics have always questioned the veracity of the Naacal Tablets. The major complaint was only Churchward had seen these tablets; no other explorer or researcher had found anything similar. Just as Madame Blavatsky had discovered the Book of Dzyan, written in the unknown Senzar language in Tibet, James had found ancient wisdom that he alone had seen and he alone could translate. Like the Book of Dzyan and the Senzar language, no scholar of ancient languages had encountered even a passing reference to the Naacal tablets, the Naacal people or the strange symbols on them. Did James Churchward actually spend time in India, studying with the Rishi, or was his stories the product of a fertile imagination? There is no evidence that James was a Colonel in the Bengal Lancers or ever served in the British military. His time as a tea planter in Sri Lanka (Ceylon) is well documented and does not support his assertion that he spent years (variously quoted as from two to twelve years) studying with the Rishi in India. Curiously in one of James’ scrapbooks, there are some articles written about the exploits of Lieut. Colonel James Churchward and the 125 tablets that he and his Buddhist scholar associates translated from late 1924 and early 1925, a year before the publication of the Lost Continent of Mu Motherland of Men. These 20,000 year-old tablets, when translated, yield the same description and in the same terms as the description of Mu as described in his 1926 book. The November 1924 article appeared in the New York American, considered by some to be an outlet of ‘yellow journalism’ that sensationalized the news to attract subscribers. The term Yellow journalism also describes the ‘click-bait’ media of today. Articles published in January 1925 in the overseas press repeat some of the same information. If mentioned, the tablets are identified as having been discovered in India and are not otherwise identified. The term ‘Naacal’ is not present in any of the articles. These articles indicate the evolution of the creation of the Naacal tablets. The earliest accounts indicate 125 unidentified tablets from India, discovered by unknown parties and translated by Buddhist scholars. James’ own account, less than a year later, does not mention a location; in contrast, the high priest of a college temple teaches him the long-dead language instead of being aided by Buddhist scholars. Also different is that the tablets, which told the same story of the ancient advanced civilization is now written on the walls of a temple in bas-relief. 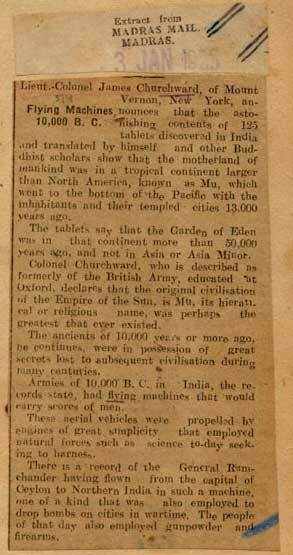 When the Lost Continent of Mu Motherland of Men is published in 1926, the tablets are back and the high priest is now a Rishi. 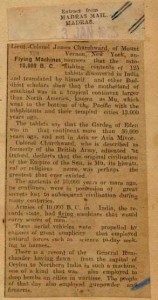 Due to the skeptic’s criticism of the Naacal tablets, after the publication of the 1926 version of the Lost Continent of Mu, his subsequent books more prominently featured his translations of the tablet discoveries of William Niven from the Valley of Mexico. Beginning in 1931, James equates the symbols on those tablets to be the same symbols as he saw on the Naacal tablets in India. To show the impact of Niven’s tablets on Churchward’s writings, in the 1926 book, three tablets are shown, clipped from a newspaper article and interpreted. In the 1931 version of the Lost Continent of Mu, sixty-nine of the tablets are shown and interpreted. Perhaps it should be mentioned that Niven and Churchward began their correspondence in late 1927, and Churchward was the recipient of images of 2500 of the 2600 tablets Niven found in his digs. They became great friends before a falling out, James dedicated the 1931 Lost Continent of Mu to William Niven and the 1931 Children of Mu was dedicated to James’ three great friends, one of whom was William Niven. The plethora of images provided by Niven made their way into his subsequent books as well; each image and its interpretation another proof of the veracity of his theories. At the end of 2015, a few of the tablets surfaced and were the subject of a podcast disputing the authenticity of Niven’s finds. Dr. Jeb Card, Visiting Assistant Professor at the Miami University, Ohio gained access to four of the smaller tablets and noted that they were made of pumice, as opposed to all the other descriptions that indicated they were made of andesite, a much harder rock. His analysis is ongoing as of this writing. One may immediately jump to the conclusion that these were another fraud perpetrated by James Churchward; however circumstances indicate that James had no contact with Niven while the tablets were being unearthed or that Niven was aware that the tablets were probably created and buried by the farmers on whose land he paid to dig. Churchward’s theories were built on his evidence of the motherland of Mu, namely the Naacal tablets and later joined by Niven’s discoveries. He declared these were the same symbols he saw in India, yet if they are shown to be fakes, would not the Naacal tablets also be manufactured and then, what is the value of his interpretations of either? Of course, as I have sufficiently indicated before, there were no such Naacal tablets. The claim about them he had admitted to me was simply pure fiction. It was irrelevant, superfluous, and extraneous at best. His story in the main was the same as Le Plongeon’s. It was what we discussed with the old professor Augustus Le Plongeon and his young wife Madame Alice Dixson Le Plongeon in my home in those early days when I had introduced them both to my friend Churchey, to King Gillette and others. These passages do not appear in the published version. As his critics rightly surmised, the Naacal tablets were a fabrication. James did not serve in the Bengal Lancers on famine relief duty where a member of an ancient secret order revealed ancient tablets and their contents to him. James married Mary Julia Stephens in late 1871 in London and they moved to Sri Lanka (Ceylon) to manage the plantations that Mary Julia had inherited, arriving in 1872. References to or quotes from the Naacal tablets are immediately suspect in any context as they have been shown to be the product of a fertile imagination and nothing else. 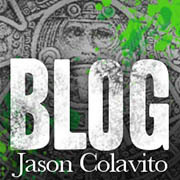 This entry was posted in Ancient Relics, References to James' work. Bookmark the permalink.